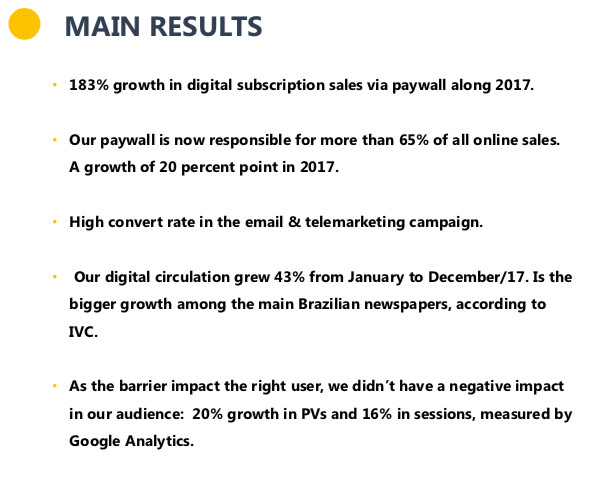 In a scenario where the print circulation has been falling -16% a year in Brazil with the main newspapers, according to IVC, boosting our digital subscription was the main goal to keep our business safe. Even though we have become more restricted, we were far away from our goal in digital subscriptions. Therefore, we had to improve our paywall rules without losing audience, which were still important for advertising. In 2017, we developed a statistical model that classifies each user according to their consumption behavior and their demographic data. Analyzing the last 30 days of site’s usage from each individual, we discovered more than 100 variables to determine their propensity to become a digital subscriber. Each user was assigned a score. We used our own DMP to segment all users by their score and our paywall management system to create different barriers rates for diverge user groups – distinct rules for different users. We closed the doors for users who had medium or high scores, so if they want to read any article, they would have to pay. They’re not able to read any article, from any source, without buying the digital subscription. Meanwhile, users who have a high consumption but haven’t reach the moment of “buy” yet, stills going through our normal paywall rules. Using digital data and statistical model to understand our readers were crucial to develop different selling strategies. We worked in three distinct fronts. Segmenting users by the propensity of buying and creating different paywall paths for each user score was the first step to have a higher conversion rate. As we had more knowledge of who are the users with high propensity, we started producing more content focus on them. In September, we began to publish exclusive content to our subscribers. This closed content helped to grow our digital sales along with the scored paywall strategy. The digital information was used to help in other sales channels as well: online and offline. 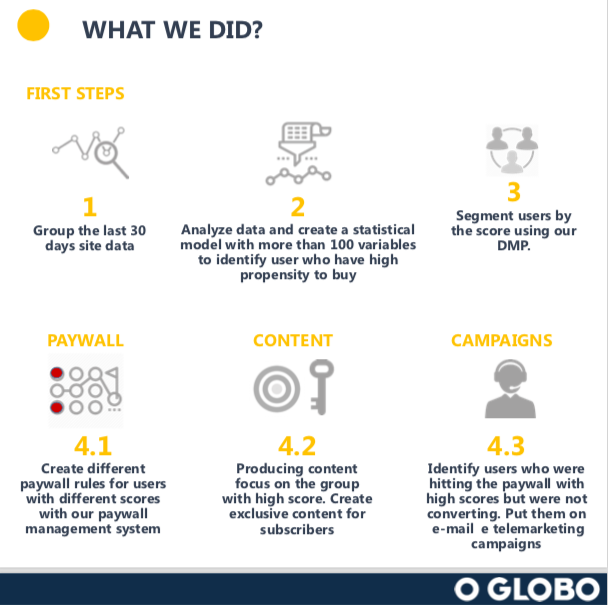 As we identified the users who were hitting the paywall but didn’t convert, we’d put them in a sales journey. Approaching them first with e-mail marketing campaigns and after with our own telemarketing campaign. 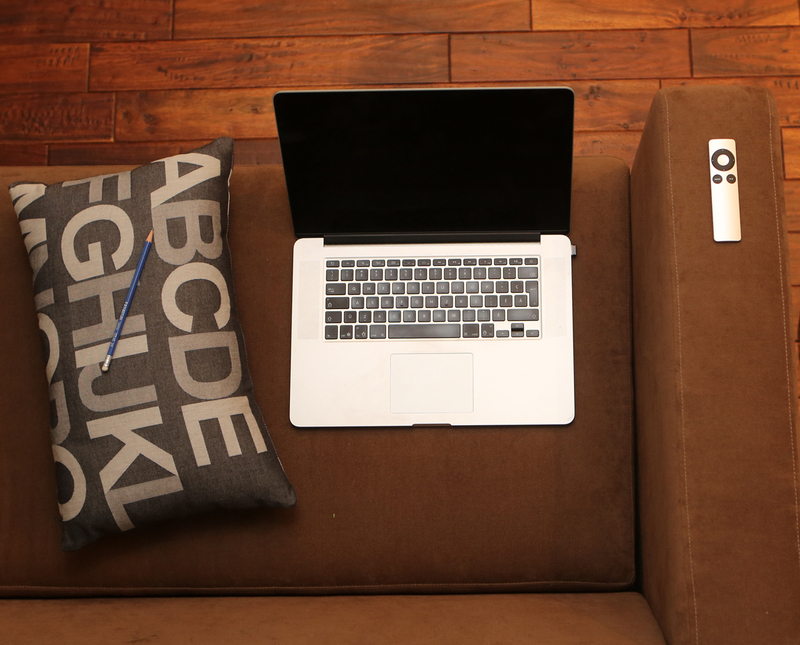 As both work with qualified leads from the site, we grown our base with a quality user. 183% growth in digital subscription sales via paywall along 2017. Our paywall is now responsible for more than 65% of all online sales. A growth of 20 percent point in 2017. Our digital circulation grew 43% from January to December/17. Is the bigger growth among the main Brazilian newspapers, according to IVC. 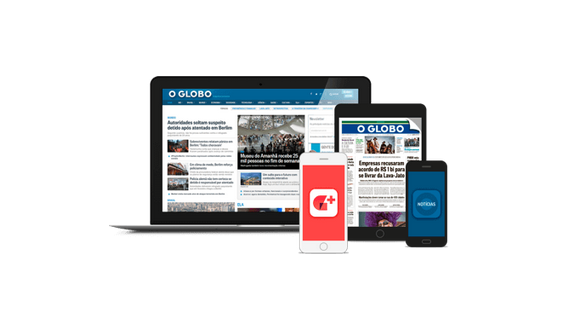 (*) INNOVATION Media Consulting supported Infoglobo during their transition to a paid strategy and integrated newsroom.